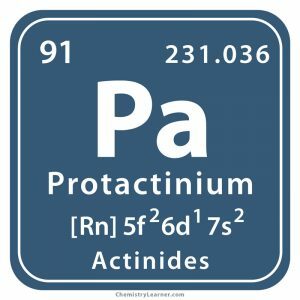 Protactinium is a highly radioactive metal belonging to the family of actinides and denoted by the chemical symbol Pa . 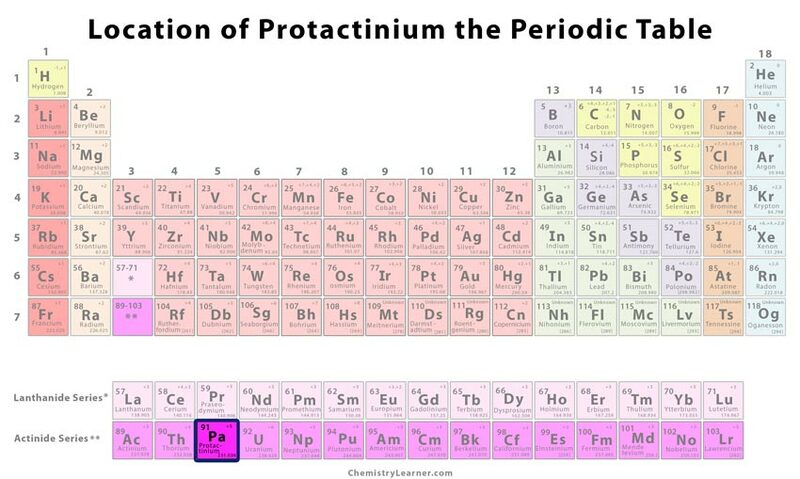 It has 27 isotopes with mass numbers ranging from 212 to 238 out of which protactinium-231 is the most stable one with a half-life of 3.276 x 104 years. After which, it forms actinium-277 through alpha decay . Origin of its Name: Its name is derived from the Greek word ‘protos’, meaning first, added as a prefix to the element actinium . 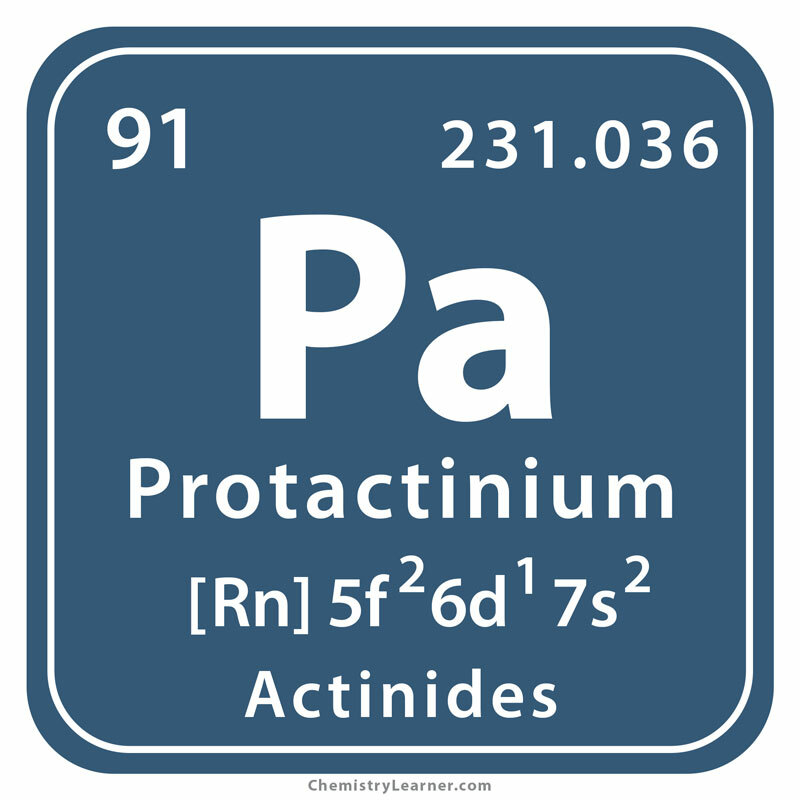 Who Discovered Protactinium: Kasimir Fajans and Otto Gohring were the discoverers of the element . In 1900, William Crookes isolated an unidentified radioactive metal from uranium. However, it was only in 1913 when Fajans and Gohring showed that the new element underwent beta-decay and confirmed it to fall in the sequence of elements through uranium decay. It was identified to be isotope protactinium-234 with a half-life of 6 hours and 42 minutes . In 1918, Lise Meitner at the Kaiser Wilhelm Institute, Berlin extracted another isotope protactinium-231 from uranium ore pitchblende . There are no practical applications of the element outside basic scientific research . 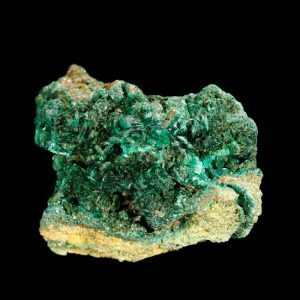 Although the radioactive nature of the element makes it highly toxic, its scarcity in nature does not pose any serious threats . 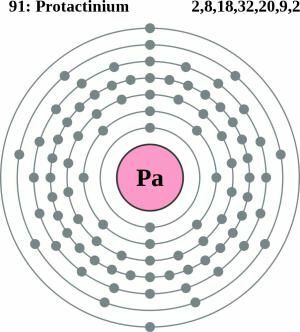 In 1961, 125 g of pure Pa was produced at the Great Britain Atomic Energy Authority by processing 55,000 kg of ore that led to an expenditure of about $500,000 . Minute amounts of the element exist in uranium ores as well as found in spent fuel rods obtained from nuclear reactors . The price of the metal may vary between $250 to $300 per gram.